Nick "Rice" Daniels will be presenting a workshop on artist branding derived from the concepts and philosophies included in the Zero to 60 program. Nick “Rice” Daniels started in music consulting for many local artists and start-up companies in Cincinnati, OH. In the time since receiving his Bachelors in Music Business in 2013, Rice has worked for Indie Label South By Sea, Artist Management with Kris J & DJ Woo, SXSW, and is a Writer & Personality with Nashville Unsigned. Zero To 60 By AGD is a curriculum based day-to-day management program that provides education, mentorship, and support services for developing artists. 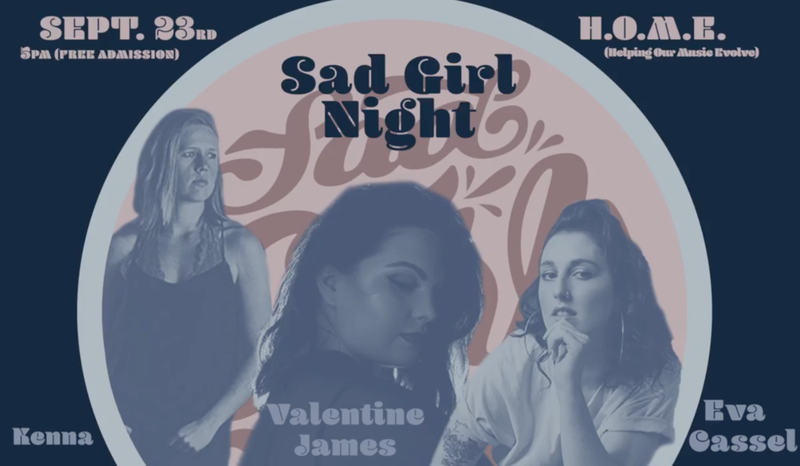 Come out to the first Sad Girl Night at Helping Our Music Evolve - HOME and celebrate the beauty, vulnerability, and power of some of Nashville's most talented ladies. 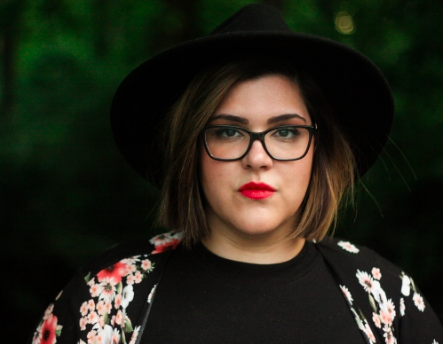 KENNA is a Nashville-based singer/songwriter with stories to tell. Devoting her craft to writing deeply heartfelt and creatively inspired works, Kenna's songs aim to bring you to a space where the moods and melodies of her music help you escape the world for a few. San Francisco Bay area native is bringing coastal vibes down south to Nashville TN after graduating from Berklee College of Music in 2017. With a resilient punk San Francisco edge, her diverse musical style combines the indie attitude of Elliot Smith and the pristine vocal melodicism of Joni Mitchell. A self-proclaimed word nerd, Cassel’s poignant honest lyrics reflect her love of language and fascination with the human condition. Combine country story telling with r&b grooves over over pop melodies and you Valentine James. James was born and raised in Nashville, TN where she quickly discovered her passion for music and helping others. After spending four years in Boston working with musical mentors and attending college, James returned back to her "Favorite hometown" in July of 2015 to pursue her life long dream of making music that others will want to move to and be moved by.